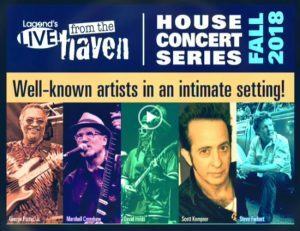 The Lagond House Concert Series. other artists, including Lee Dorsey, Robert Palmer, Dr. John, and Allen Toussaint. was the first non-Jamaican act to win the GRAMMY Award for Best Reggae Album. member of The Dictators and The Del-Lords. memoir Big City Cat: My Life In Folk Rock. drink). Doors open at 6:30PM with shows starting at 8PM. fostering deep levels of discipline, commitment, expression and achievement in its students. students throughout the New York metropolitan area. Lagond offers a hands-on, conservatory college preparatory program that features live music performance opportunities and the rigor traditionally applied to classical training. This regimen promotes the development of discipline, expression, collaboration, and commitment while helping students fulfill their creative potential, improve their social skills and promote academic success.